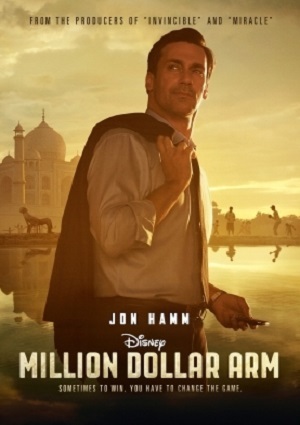 Million Dollar Arm tells the story of sports agent J.B. Bernstein. He’s an entrepreneur whose business is being plummeted to the ground by the other competing agents in the industry. After watching some cricket games and reality shows, Bernstein thinks that it’d be a good idea to train underdog cricket players from India to become decent baseball players. That’s when he meets Dinesh and Rinku; two talented boys that Bernstein will take under his watch to help them master the sport of baseball. Bernstein must put all of his effort in helping Rinku and Dinesh to overcome the many difficulties that come from learning a weird sport in a even weirder country.